Investors in gold and silver want to know if the new year will see a return of a bull market in precious commodities. The recent interest and pick up in price for gold and silver are the result of individuals using these two metals in particular, as a hedge against market uncertainty. Whether the recent trend will continue, depends on the level of growth in the global economy and whether there will be rising tensions, in a number of flash points around the world. Gold itself had lost 28% of value in 2013. In 2014 it only went down, an additional 4.4%. 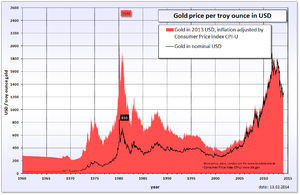 It was the first time since 2000, that the metal had declined 2 years consecutively. As the economy improved in the United States and elsewhere, investors decided to commit financial resources to other assets like stocks and real estate. More recently the United States Stock Market and equities around the globe, are leveling off and beginning to decline. The Standard & Poor 500 indexes have now been in a slump for 2 months. This will be the first time this has occurred since 2012. The weakening global economy is adding new fears to investor sentiment. Although estimates for growth in the United States have been upgraded slightly by the World Bank and the IMF (International Monetary Fund) reduced expectations for the rest of the world, were announced simultaneously earlier this month. Portfolio managers are becoming more optimistic and have advised their clients to once again consider gold and silver as an investment. The amount of money being invested in gold for example, is now happening at the fastest pace in 3 years. The ECB (European Central Bank ) seeks to inject up to 1.1 trillion Euros or the equivalent of 1.3 trillion USD (United States Dollar) into the European economy. This will be achieved by the purchase of mostly government debt, but other assets like corporate bonds are also under consideration. The ECB is proposing to spend 50 million Euros ($58 billion USD) a month through 2016, to help combat the perceived threat of deflation. The opposition of Germany to the ECB plan indicates there is division to the objectives of the Central Bank President, Mario Draghi. German reluctance to endorse quantitative easing (QE) as the official monetary policy of Europe matters, since the country is the largest economy on the continent. The managers at the German Central Bank (Bundesbank) feel that economic structural reforms that are needed in individual countries, will be slowed or derailed if QE is introduced on such a massive scale. Prices for gold touched $1,305.25 this week, the highest level since August of 2014. The gain was short-lived with the announcement from the ECB. The feeling is that the proposed QE will stimulate new growth in Europe, which in turn will slow down the investment surge in gold and silver. The contrarian view is that the virtual printing of money will fail to stimulate the economies of Europe in a sufficient manner and in the end, will just weaken the Euro even further. This result seems quite plausible to this investment writer. 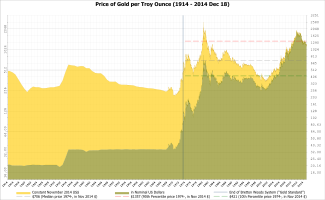 It will soon create a new surge of money towards precious metals. Although commodity prices in general are collapsing in the face of declining demand and a surging United States dollar,this has not been the case with precious metals like gold and silver. The US dollar as the world reserve currency broke through a long term resistance level and is now worth more than at any other time, since late 2003. That makes most world commodities that are priced in USD, much less expensive. The slowing economies of the world have reduced demand substantially, allowing for growing stockpiles of many commodities from energy like coal, gas, and oil to strictly industrial metals like copper and tin. The cost for oil for example, has now dropped almost $60 USD since last summer, selling for less than $50 USD a barrel now. Precious metals are the exception. This is especially the case with gold and silver. Gold has increased more in price since the beginning of the year, than the total loss recorded for the metal in all of 2014. Gold has already increased in price by over 8% last week and even edged higher this week. Silver which had dropped in value by almost 23% in 2014, has rebounded in price by 14% already in 2015. These two commodities are once again, acting more like hard currencies than just simple metals. The growing instability in the currency markets is beginning to unnerve many international investors. The collapse of the Russian ruble, the rise of the American dollar, and now the downward movement in the Euro are all together disconcerting to those who are looking for stability and value. The decision by Switzerland to remove the self imposed monetary cap against the Euro after repeatedly insisting they would not, has shaken the confidence of many in the industry. Many investors are now asking if the Swiss National Bank was unable to continue the peg of their currency with the Euro because of currency volatility, what other promises made by national banks of the major industrial countries are now under question? This uncertainty will only add to the rise in the price for gold and silver. In the end, Swiss bankers had decided that enough money had been spent in defending the franc against the Euro at the 1.20 rate to 1 rate respectively. The ECB move towards quantitative easing, was the final straw for the bankers in Switzerland. The European version of QE in order to be effective, will sooner or later require the purchasing of somewhat toxic southern European sovereign debt. The bailout of Greece, Italy and Spain although necessary in the minds of some ECB officials, will cause overall interest rates to drop and the Euro to deteriorate even further in value. The recent terrorist events in France have created an even more unstable environment for investors. There are seemingly fewer and fewer safe mediums for investment. This explains the meteoric rise in the American dollar despite the financial weaknesses of the United States. In the past when there had been a similar rise in the United States dollar, the price for gold and silver would decline proportionately. This is not happening this time around. Although the dollar is reaching new highs, precious metals are maintaining their value. Investors are becoming increasingly wary of national currencies and the promises of central bankers in general. In the end, they know that gold and silver as traditional investments, offer stability and long term value. As the economy of Japan continues to stagnate and even the fast moving Chinese see a slowdown in their economic growth, it is putting a break on economic expansion even in Asia. 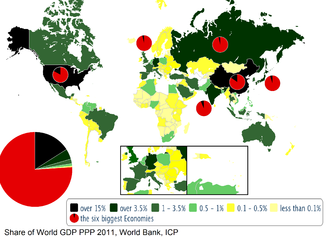 China is now growing at the slowest rate in a generation. 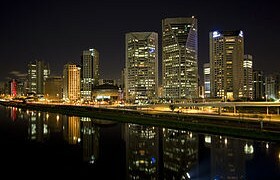 In Latin America the largest economies namely Argentina and Brazil, are finding new economic growth quite elusive. Where can investors find safety? It will be in gold and silver for 2015 and 2016. The big mover so far this year has been silver. Once silver breaks above the key resistance level of $18.19 USD, it will move upwards at an accelerated rate. For many analysts in the industry, this price level is just above the cost of production in the West for silver. Since the traditional value link of gold to silver is at a 1:16 rate, look for a much more rapid increase percentage wise for silver. The present ratio is at 1:72. This is likely to narrow somewhat in 2015. 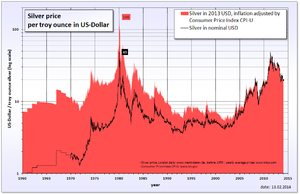 If silver would surge just $4.00 USD in value, it would put an upward pressure on gold. Gold selling at $1400 USD an ounce, would still see a ratio of 1:65 in relation to silver. 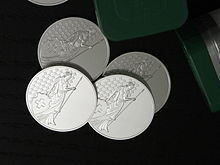 A price level of $50.00 an ounce for silver in the next few years, is quite possible. If this becomes a reality look for gold to be selling for well over $2,000 USD an ounce and perhaps closing in on $3,000 USD. The question on the minds for most investors is what will central bankers do as precious metals start to increase in price. These officials have allowed that these metals need to sell at least at the cost of production, which for silver is between $17.00 USD and $18.00 USD an ounce and gold between $1200 USD and $1300 USD an ounce. The real world supply of gold and silver is rapidly being depleted as China and India continue to take physical possession of their purchases. This is increasingly becoming the case with more central banks and investors around the world. It is no doubt that gold caches from Libya, Iraq, and the Ukraine are now sloshing around world markets, but unless new supplies are made available soon, prices will need to rise accordingly. There might be some sales made this year from countries in desperate economic straights like Venezuela for example, but this will provide only a stopgap, in the growing demand for physical gold and silver. The game of paper silver and gold played by central banks, financial institutions and investment houses around the world, is rapidly coming to an end. They have begun to lose credibility with many investors, who increasingly want to take and keep possession of the precious metals they buy. One thing has become quite clear to many investors, there is no where near the amount of gold and silver in stock as claimed. The amount of paper certificates issued far exceeds any available supplies. As this becomes common knowledge and investors begin to panic, look for prices of actual gold and silver to ratchet up to formerly unseen levels.